Get Excited to See 12 Strong Coming soon to Theaters on Jan 19!!! See my Review and Score Tickets to Take a Friend Giveaway! 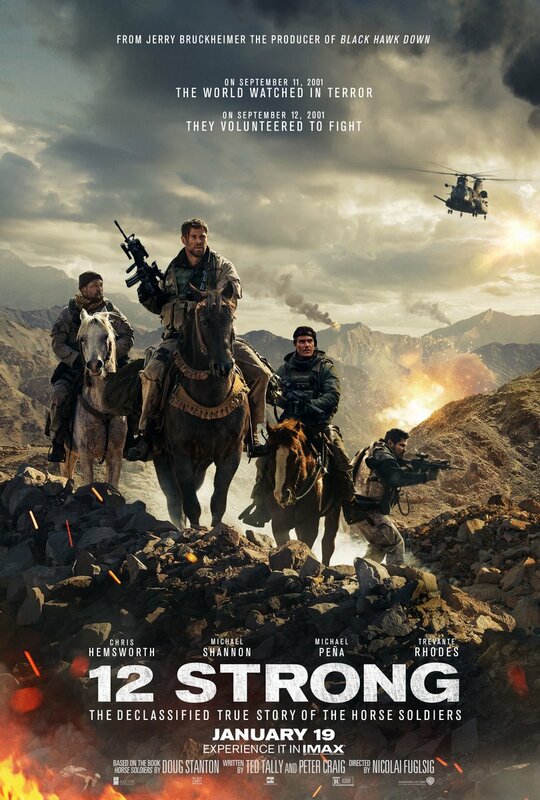 Time for another action-packed movie of bravery and courage from men looking to protect the freedoms we hold so dear! You should plan to make your next movie to see 12 Strong, starring Chris Hemsworth (Thor) and Michael Shannon. 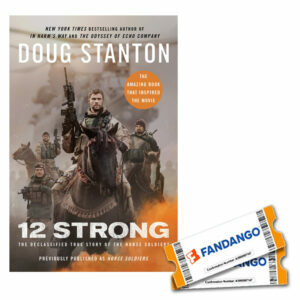 We often do not hear the stories of what happens when our brave soldiers when off to war after 9/11, but 12 STRONG is one of the great unknown stories of American valor. Twelve brave U.S. soldiers dropped everything and ventured into an unknown land, outnumbered 5,000 to 1 to complete one of the most successful special forces missions of all time. However, they had to use the rudimentary tactics of the Afghan horse soldiers rather than state-of-the-art warfare to battle the heavily armed Taliban. This is the amazing story of these 12 heroes and the families who wondered if they would come home alive. This movie arrives in theaters on January 19, 2018. This film has been rated R by the MPAA for war violence and language. Want to see this movie? Enter our Giveaway today! Note : If you have won the same prize on another blog, you will not be eligible to win it again. Please enter this giveaway by January 31st!! All are welcome to participate. Please note the rules of the giveaway! Please note your Prize Shipment will take 4-6 weeks once the winner has been chosen. Prizing provided by Warner Bros. Pictures. Want to see this movie? Tell us about it in the comments! Life got you down? 5 Ways Parents Can Keep The Stress at Bay! i have had to overcome a lot in the last few years but nothing compares to what my sister has had to do. she is the bravest person i know and continues to be strong for her family. i wish i had the bravery she did. i have tried to be brave by not letting others be bullied or picked on. i was bullied when i was younger and do not want anyone to go through that ever. bravery is standing up in the presence of fear. i don’t consider myself to be brave, but i think i have done some brave things in my life. fighting cancer is one of them and i think that any one that can look death in the face and come out on top is brave in my book. I had to be brave when I moved away on my own to a new city for work not knowing anyone. My husband is brave for overcoming a childhood full of abuse and PTSD, and working every day to break the cycle! I”ve seen so many examples of bravery in my life, from Mom’s who are raising kids alone to kids facing their fears. Not all bravery is on the battlefield, but as Veteran, those men and women hold a special place of respect in my life. did you pick a winner for this contest? i was really hoping to win and see the movie. please let us know. thanks.